Frei Otto rigorously subordinated himself to the physical laws governing membrane surfaces, systematically researched their geometric properties, and meticulously explored the possibilities of the individual modes of construction with the help of instrument-based technologies — the technical sphere manifests here, in the tradition of Friedrich Dessauer, as a “realization and coming-into-reality of ideas.” However, the fact that for Otto “technology” always implied “media technology” becomes apparent as soon as one incorporates questions that have been little explored in the history of architecture concerning the experimental dimension of his models and apparatuses in media terms. It was often Otto himself who documented his models, taking photographs from several different standpoints while he was still in the process of setting them up in his studio, or staging them as simulations, viewed as finished objects outdoors and in natural sunlight. 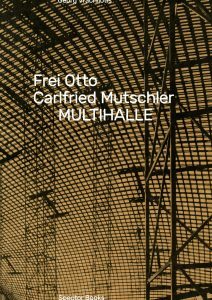 Spector Books presents “Frei Otto. 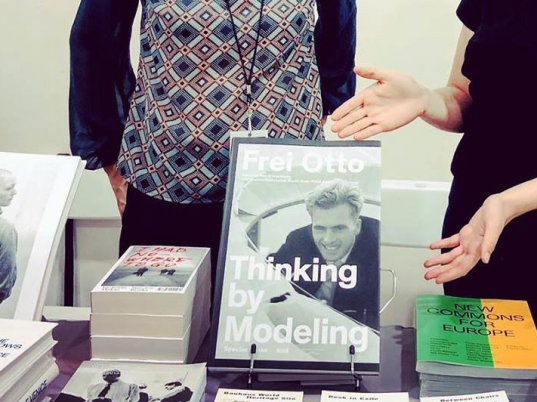 Thinking by Modeling” at the New York Art Book Fair 2018. On the occasion of the 16th International Architecture Exhibition of the Venice Biennale, the saai at Karlsruhe Institute of Technology (KIT) will present Frei Otto’s and Carlfried Mutschlers Multihalle in an exhibition in the context of this year’s biennial theme, “Freespace.” Sleeping Beauty follows on from the successful exhibition “Frei Otto – Thinking by Modeling,” which was hosted by the ZKM in Karlsruhe from November 2016 to March 2017. 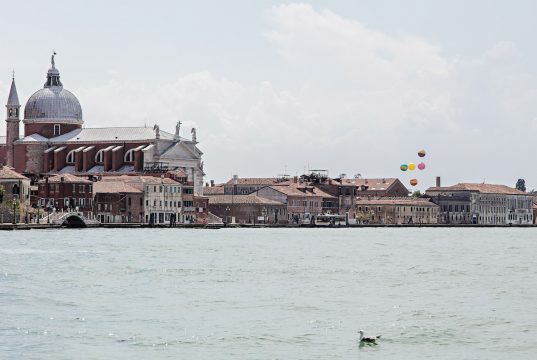 The show in Venice focuses on the Multihalle and will be the first exhibition in the world dedicated to this fascinating building. 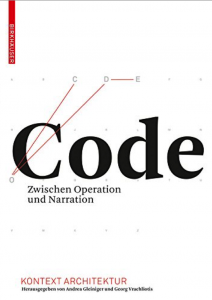 Initiators and curators of the exhibition are Berlin-based urbanist and curator Sally Below and Georg Vrachliotis. Both are long-standing advisors to the City of Mannheim on the development of the Multihalle. 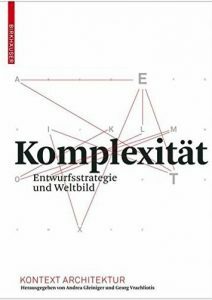 Architect of the exhibition is Marc Frohn, professor at KIT, and his company FAR frohn&rojas. 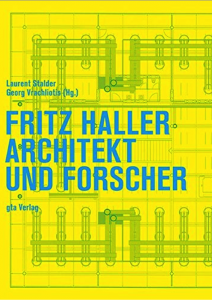 Graphic design by Floyd E. Schulze, WTHM—Büro für Gestaltung, Berlin. 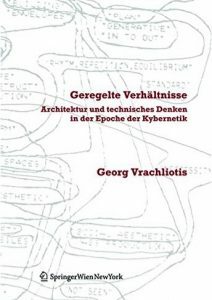 Symposium — Architektur als vermutete Zukunft / Architecture as a presumed future. 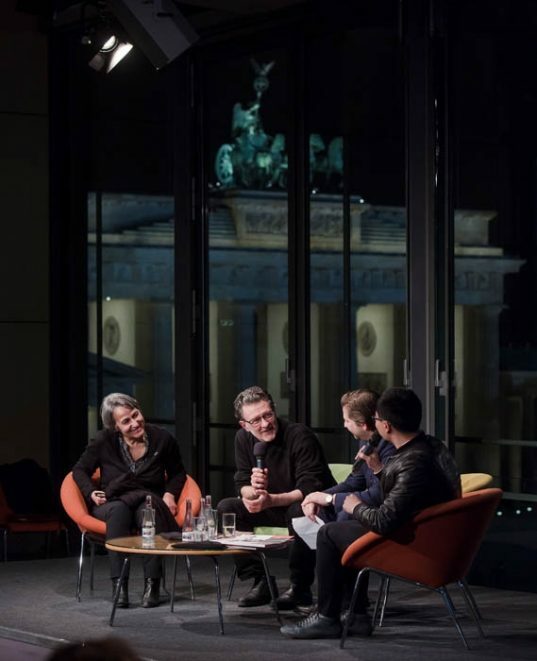 With Nathalie Bredella (UdK Berlin), Cornelia Escher (Universität Konstanz), Daniela Fabricius (Princeton University), Irene Meissner (TU München), Achim Menges (Universität Stuttgart), Christine Kanstinger (Atelier Frei Otto), Joachim Kleinmanns (saai/KIT), Jan Knippers (Universität Stuttgart), Toni Kotnik (Aalto Universität Helsinki), Martin Kunz (saai/KIT), Georg Vrachliotis (saai/KIT), Peter Weibel (ZKM). »People say that machines, the tools of development, kill fantasy. That’s not the fault of machines, however, but of man himself, who builds machines that are neither adaptable nor rational: machines that are lacking in fantasy.« Thus wrote the young German architect, Frei Otto, in his concise, manifesto-style essay »Imagination et architecture – essai d’une vision d’avenir«, which was published in the French journal »L’Architecture d’Aujourd’hui« in 1962. Otto illustrated his essay not with photos of realized projects but with watercolor drawings and sketches in Indian ink, in which intriguing membrane roofs and tent-like structures could be seen to span residential developments, landscapes, or even entire self-contained cities. 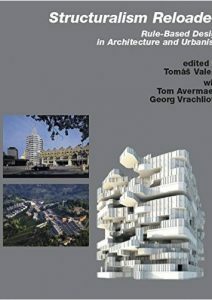 In juxtaposing factors ostensibly worlds apart – the unfettered imagination; constructive or machinic potential – Otto put his finger on what would prove to be a core tenet of his architectural practice: the abiding aspiration to strike an effective and fertile balance between creative vision on the one hand, and the rationale of technological constraints on the other. Architecture has seen a revival in the importance attached to the study of materials and building components together with the associated workmanship skills and knowledge. 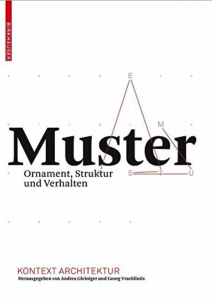 This consideration of physical and craftsmanship aspects has also placed a renewed focus on the history of models and its experimental function in architecture, art and science. The question concerning materialization of information is of great significance in this context. 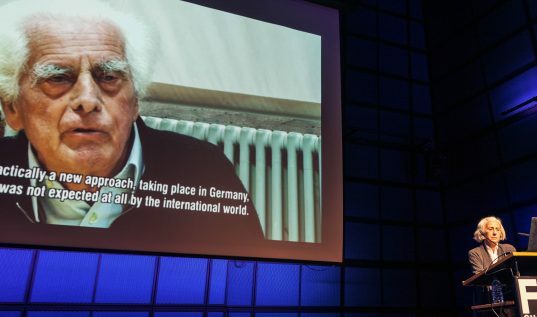 The relevance of Frei Otto’s empirical model aesthetic lies in identifying the enormous potential of object knowledge and its material-cultural dimension – on the one hand to continue to anchor the perception of the resource between nature, technology and society, and on the other to allow better investigation of the complex interrelations between digital and analog. 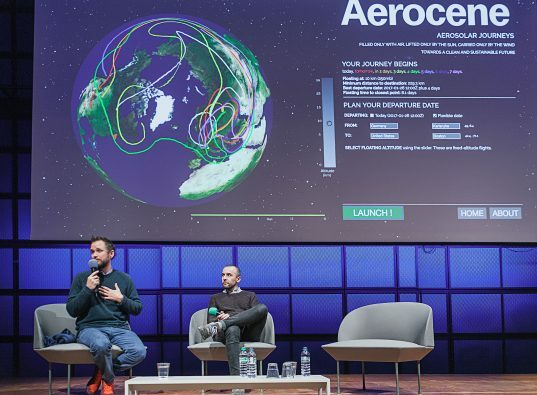 So what does it mean for architects and engineers to design in a society that seeks a balance between growing digitalization and increasingly important resource awareness? For contemporary architecture, the wealth and abundance of Frei Otto’s cosmos bears nothing less than an intellectual thought collective for a different and optimistic narrative of the future environment and human cohabitation. 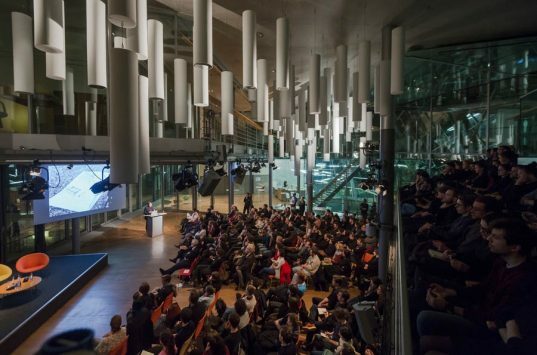 The symposium »Architecture as a presumed future« takes place within the context of the exhibiton »Frei Otto. 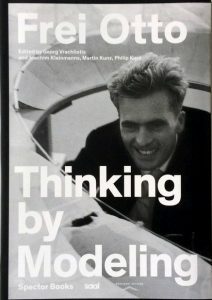 Thinking by Modeling« at ZKM | Karlsruhe in cooperation with the discipline architecture theory at the institute design, art and theory at the Karlsruhe Institute of Technology (KIT). 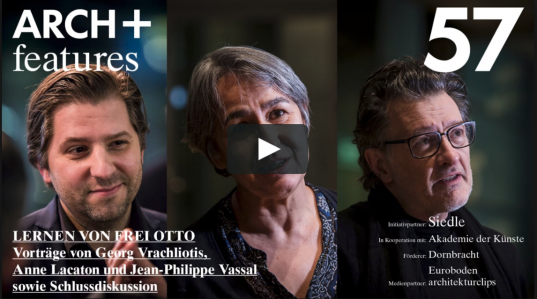 Anna Lacaton and Jean-Philippe Vassal will sit down for a discussion with Georg Vrachliotis on the occasion of the Frei Otto retrospective he curated at the ZKM in Karlruhe. 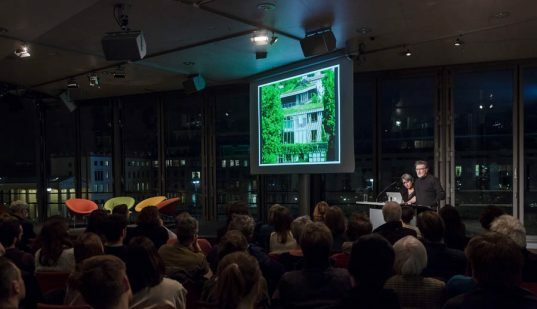 They will discuss the conceptual proximity between Lacaton & Vassal’s work and the eco-houses that Frei Otto designed for the IBA Berlin. Both cases represent a vision of architecture as open structure, in which the resident’s space for creative freedom stands paramount rather than the creative will of the architects. The exhibition aims at introducing new perspectives on the work of Frei Otto as well as formulating present-day questions concerning the future of our built environment involving architecture, technology, sustainability and society. The exhibition opening takes place on Friday, November 4, 2016. Frei Otto (1925-2015) is among the most internationally celebrated and innovative German architects of the 20thcentury and is a central figure in building the culture in the state of Baden-Wuerttemberg. In March of last year, he received the Nobel Prize for Architecture, the Pritzker Prize, for his work, which is the most highly recognized award for architecture in the world. 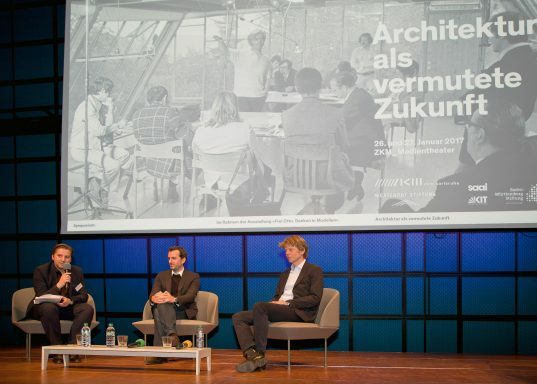 On the occasion of this honour, the »Südwestdeutsches Archiv für Architektur und Ingenieurbau« (saai) and the Wüstenrot Foundation are planning the biggest exhibition to date of the work of Frei Otto in cooperation with the ZKM. All models are sorted by scale, correlated in terms of content and history and presented on an approx. 50 metre long table structure. Further plans and images relating to the historical, technical and constructive context of individual models and projects are supplemented by original plans and small display screens. In this way, the questioning character and aesthetic continuity in Frei Otto’s thought processes become visible. 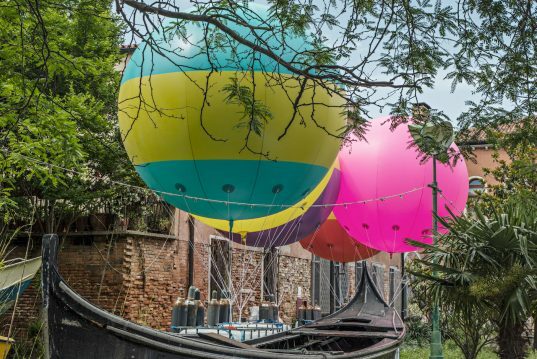 Visitors get the impression that they are floating through a »horizontal cabinet of wonder«. 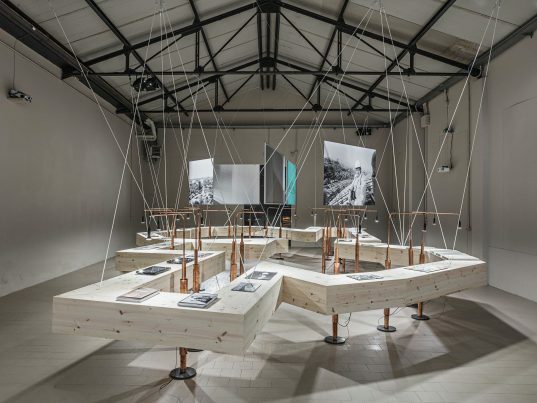 A central component of the exhibition is the »open archive«. It consists of 18 oversized filing racks, which are built around both courtyards and which provide the exhibition with its scenic stabilisation. On the basis of selected original plans, photos, books and reproductions, visitors are guided through the most important biographical stations of Frei Otto – the development centre of lightweight construction in Berlin, the world-famous institute for light-weight surface structures in Stuttgart and his studio in Warmbronn through to pioneering projects such as the German Pavilion for Expo 67, the Multihalle Mannheim and the first studies for Stuttgart 21. The circular filing racks act as a freely accessible viewing warehouse and place of knowledge between presentation and storage. During the course of his life, Frei Otto collected and classified images of the structures of nature. They served him equally as inspiration and free association and as specific objects of investigation. The central focus here is that Frei Otto recognised the model character of nature and tried to make this useful for architecture and civil engineering. 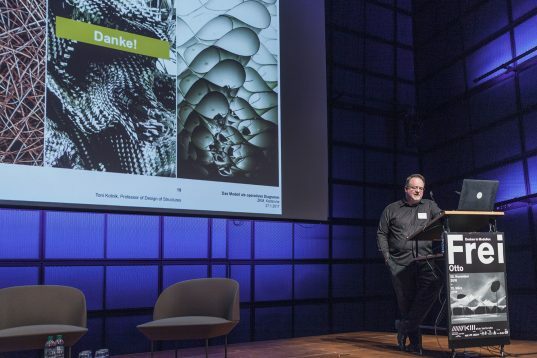 At 18 tables – which are based on the workbenches of Frei Otto in Warmbronn – visitors can study large-scale images of nature studies, spider’s webs, sand structures and soap bubbles. It opens up a complex imagery for them, establishing an insight into the poetic but scientific cosmos of Frei Otto’s world of thought. The innovative potential of Frei Otto is based on the radical multidisciplinarity of his thought processes between architecture, technology, science and society. The technical imaging and media dimension play a major role here. In a projection measuring over 25 m, this thought process is conveyed in its aesthetics and medial imagery. 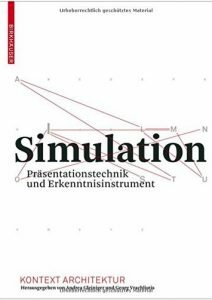 Georg Vrachliotis (Curator), Marc Frohn (Co-Curator), Martin Kunz (Co-Curator), Joachim Kleinmanns (Co-Curator), Julia Schiffer (Project assistance), FAR frohn&rojas (Exhibition architecture), Studio Lukas Feireiss (Graphic design), ARCH+ (Media), Spector Books (Publication). Redesign of the GLOBALE wall modules by Stadelmann Schmutz Wössner Architects (SSW) as table plain by frohn&rojas (FAR). 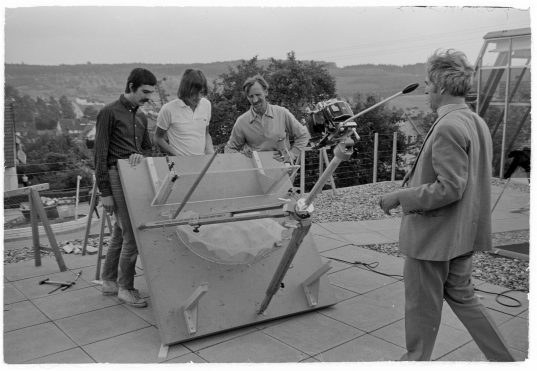 A joint project of the Südwestdeutschen Archivs für Architektur und Ingenieurbau (saai), of the KIT and the Wüstenrot Foundation in cooperation with the ZKM Karlsruhe. Jean-Philippe Vassal, one half of the French architecture duo Lacaton & Vassal, is a huge Frei Otto fan and particularly influenced by his 1980s “Eco-houses” in Berlin. 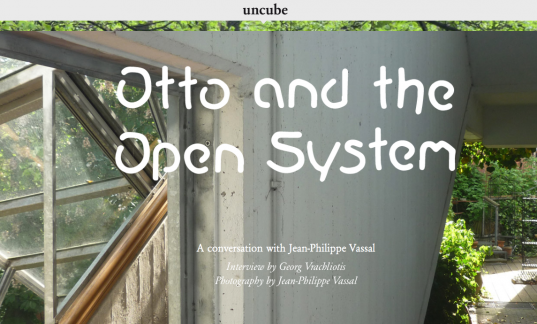 Georg Vrachliotis talked to him for uncube magazine about designing open systems in architecture and ensuring maximum freedom for residents.